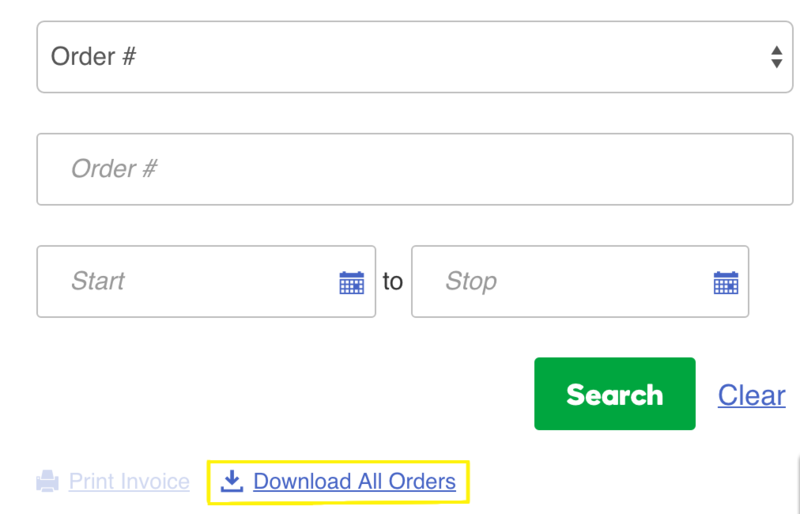 You can download all of your store orders as a .csv file to save for your record keeping purposes. Comma Separated Values (CSV) files format spreadsheet data as plain text, so virtually any spreadsheet program can read them. Login to your GoDaddy account. Note: You can't pick and choose which orders to download, they'll all be downloaded together in one Excel file. A message will pop up on your screen letting you know the Export Finished. Check your downloads folder to open the .csv file in a spreadsheet program. You can keep track of your orders for accounting and inventory purposes. To import information to your store, see <!-Upload product information-->Upload Product Information.